Just an updated no intro mod. 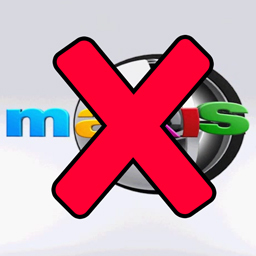 With patch 1.50, a new cute Maxis logo video was introduced. After the nostalgia and stuff wore off, it got pretty old pretty quickly. Especially when one is loading and reloading the game to test stuff. This mod removes it. The other resources are re-exported, they weren't copied from Rick's version, although I learned what to do from studying what was done in that mod. This does not mean the original version no longer works - it still works! Just that, it has no idea the new resource (with the Maxis Logo) exists, so it won't block that. Should work with all patch versions, from 1.50 onwards. Even games on patches older than 1.50. This is a basic override mod that modifies all the _VID 0xB1CC1AF6 resources (from FullBuild1 / DeltaBuild1). Basically, it just replace the video with a blank black image as a video in each of the resource, if anyone is interested. Q: Do I need 1.50 version to use this mod? Will it work if I'm on 1.48 or older? A: It should work. I've tested it while doing my patch tests - ie uninstalling and rolling back to 1.48 and 1.47 to test the 1.50 Incremental and Superpatch updates. If it does not work on your setup, be sure to include your base game's patch version and confirm that you have tested on a clean User Folder with just this mod in place, when you make a bug report. Q: Do I need both versions of the no intro or just one? A: Just choose one. Either this or the other (if you want the Maxis vid to still play if you're on 1.50). This is a replacement of the original by Rick, and would disable ALL no intro vids.